Sprint today at Mobile World Congress announced that its commercial 5G network will launch in May, starting in Chicago, Atlanta, Dallas, and Kansas City. The carrier plans to expand service to Houston, Los Angeles, New York City, Phoenix, and Washington D.C. in the first half of 2019. At launch, Sprint’s highly mobile, on-the-go customers can expect mobile 5G coverage ranging from nearly 30 square miles covering Midtown and lower Manhattan, to approximately 230 square miles spanning the greater Dallas Fort Worth area, for a total initial 5G coverage footprint of more than 1,000 square miles across all nine cities. Sprint plans to build a nationwide 5G network in partnership with T-Mobile should the proposed merger of the two companies be approved. 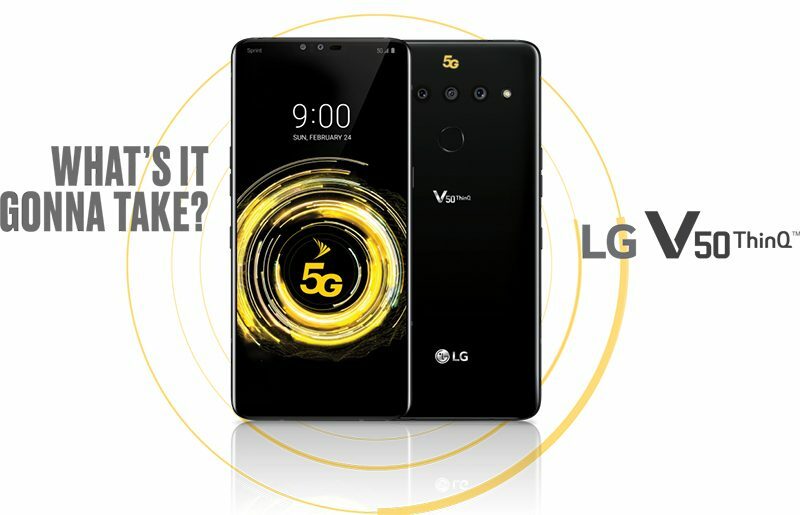 Sprint said its first 5G smartphone will be the new dual-screen LG V50 ThinQ 5G unveiled at Mobile World Congress this week, followed by the HTC 5G Hub hotspot in the spring and the Samsung Galaxy S10 5G in the summer. Sprint also announced that it will offer 5G service to Google Fi customers with a compatible device, but there is no timeframe for the rollout. Sprint’s network will operate on the 2.5GHz spectrum and use Massive MIMO radio equipment supplied by Samsung, rather than use millimeter wave technology. Sprint chief technology officer John Saw said the carrier saw speeds of 430 Mbps in one demo, according to The Verge, significantly faster than LTE.